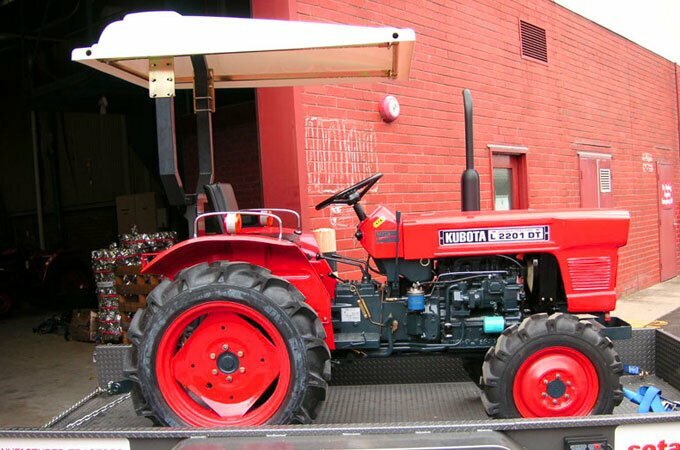 If you intend to spend a significant amount of time in the sun, consider fitting a sun canopy to your tractor. Available in white, red, blue, green and orange, these UV stabilised, polyethylene canopies are specially designed to hug modern hoop-type ROPS frames. A sun canopy fitted to a Kubota L2201DT.